Is It Safe to Travel to New Zealand Post-Earthquake? "Much of New Zealand remains unaffected," a spokesperson for New Zealand Tourism told the Telegraph. "All airports are open and operational in New Zealand. It appears the greatest impact is in rural North Canterbury, Kaikoura and Wellington, although information is still being confirmed." The earthquake struck New Zealand’s South Island and was followed by a series of smaller aftershocks. 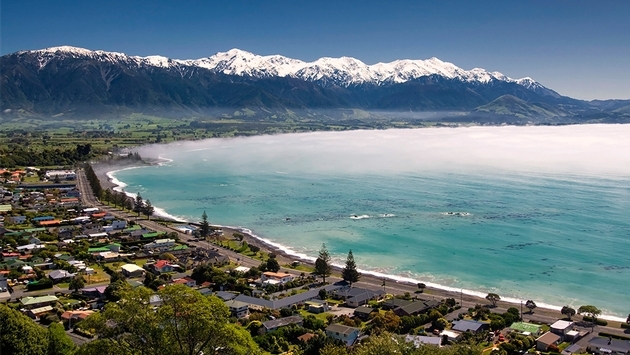 Much of the damage is in Kaikoura, which is a popular tourism resort town located 110 miles north of Christchurch. “Local authorities claim the main road into Kaikoura has been cut off by landslides, adding that telecommunications, water and power supplies have also been severed. People are currently being airlifted to safety from the town,” the Telegraph’s Gavin Haines reports. The earthquake was more powerful than the one that struck Christchurch five years ago, but damage is more minimal. Travelers visiting New Zealand’s South Island should be most mindful of the road conditions. “The quake is thought to have caused significant damage to the South Island’s infrastructure; many highways have cracked or been blocked by landslides,” says Haines. And while the tsunami threat has passed, officials urge caution for those near the coast, according to a statement on the Civil Defence website. For more on travel to New Zealand after the earthquake, read on here.